Remember making paper airplanes as a kid, racing with your friends to see whose plane would last the longest? Aeroflick brings a little bit of that back to you through their new game for iPhone. 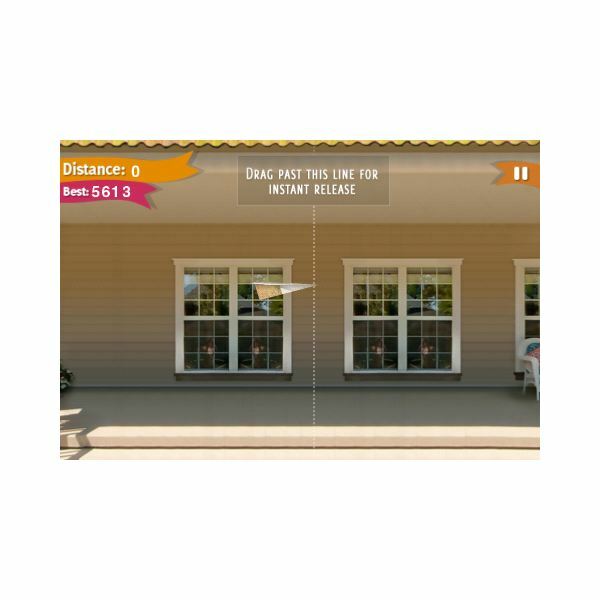 The Aeroflick app puts you on a front porch with a paper airplane ready to be tossed. 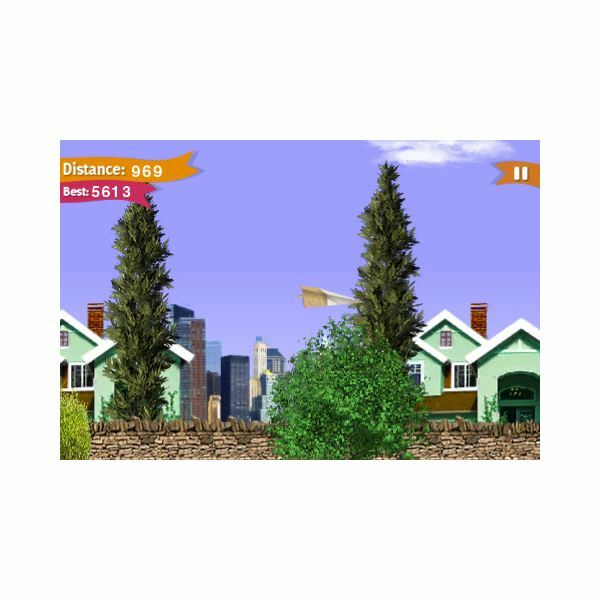 Using your finger to pull back and release, you toss the airplane and try to make it off the porch and past other obstacles on the "course". I tried out this iPhone game and am here to share my experiences and let you know if it's worth downloading or not. 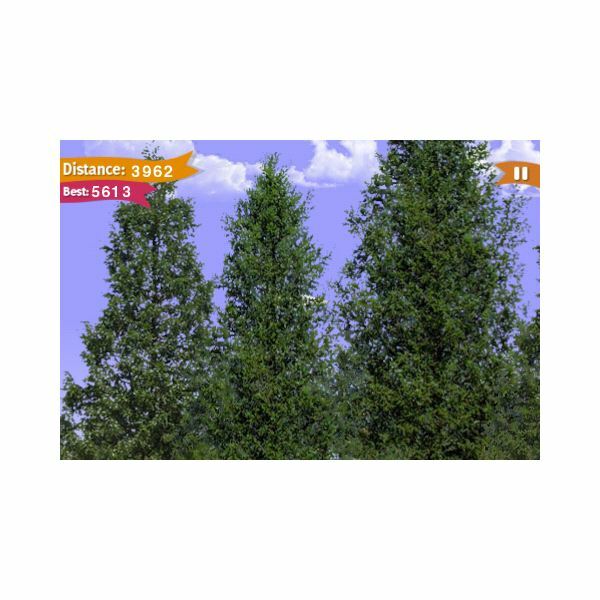 Aerofick's graphics are simple, but not too plain. This isn't the type of game where the graphics need to be complex, so it wasn't overdone. For this game, the graphics are perfect. With that said, there aren't many obstacles or changes in scenery. You start off on a front porch, fly through the yard and then through a wooded area (if you're lucky enough to throw your plane that far). Along the way there are a few statues and a few air vents on the ground that push your plane up higher if you manage to hit the vent just right. So it's not a completely bare obstacle course, but it could use a little bit more variation to make it really interesting. The first time I tried the Aeroflick app, I crashed my paper airplane into the ceiling of the porch. The second time, I got it just off the porch but then crashed into a statue in the yard. The third time I threw it past the statue and finally started to understand the best way to toss the plane. After a few more times I couldn't make it much further and got frustrated, wondering what the point of the game was. I swore not to play it again, but Aeroflick is strangely addictive. I couldn't stop playing it and eventually learned how to get my airplane to really soar. While it is addictive, the game needs a little something more to get a higher rating. Different levels or goals would bump this game up to a four or five star rating. I did manage to make my airplane to the end of the course, where there is some sort of portal, but it was impossible to make it into the portal. Maybe the developers plan on integrating new levels and goals in the future, so I'm hopeful for what is to come since this is a brand new game. Rating this game was tough. It has the addictive component to it, making it worth the download to me. But it doesn't have much to offer in the way of different levels and goals. While the game has all the makings to be more than "Average", I couldn't rate it higher without different levels to play towards. For now I keep playing to try to beat my own personal score, but I am hopeful that Aeroflick will have some added goals in the future. Overall, I do recommend the Aeroflick app because the concept of the game is interesting and the price to download is reasonable. Screenshot images provided by author.